We went on a little mini family vacation this past weekend. It's the first one since Liam and Brady were born. And he's almost three! 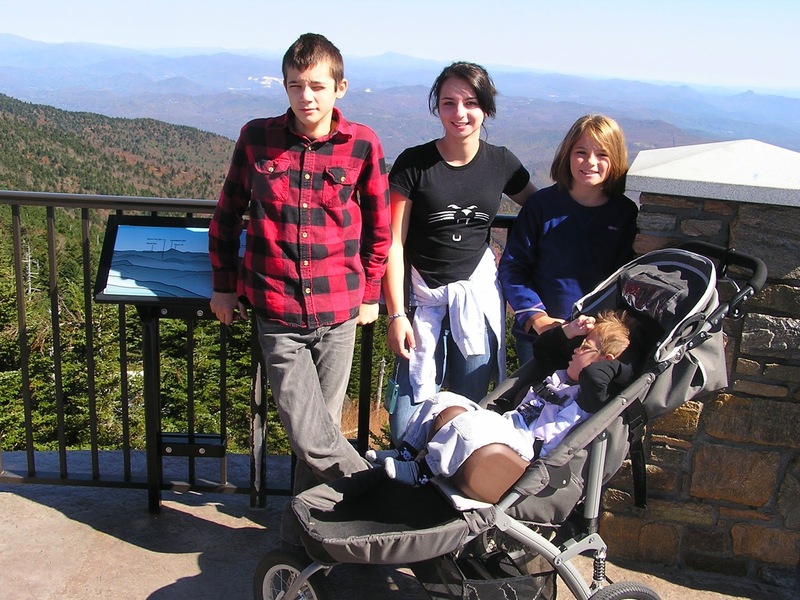 I love the mountains here in NC and when I spent so much time out there for oxygen treatments for Liam, I absolutely fell in love with everything on the western side. 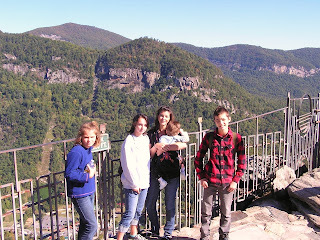 When the kids would visit me at Miracle Mountain, we would go hiking along the Blue Ridge Parkway. 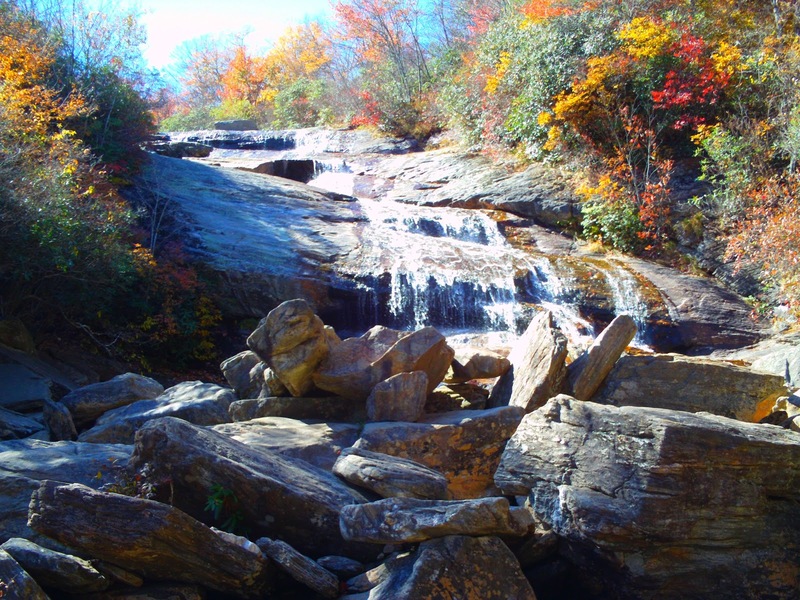 Waterfalls, vistas, and nature galore. After having spent 7 weeks at the northern part of the parkway, I wanted to see a bit of the southern portion. 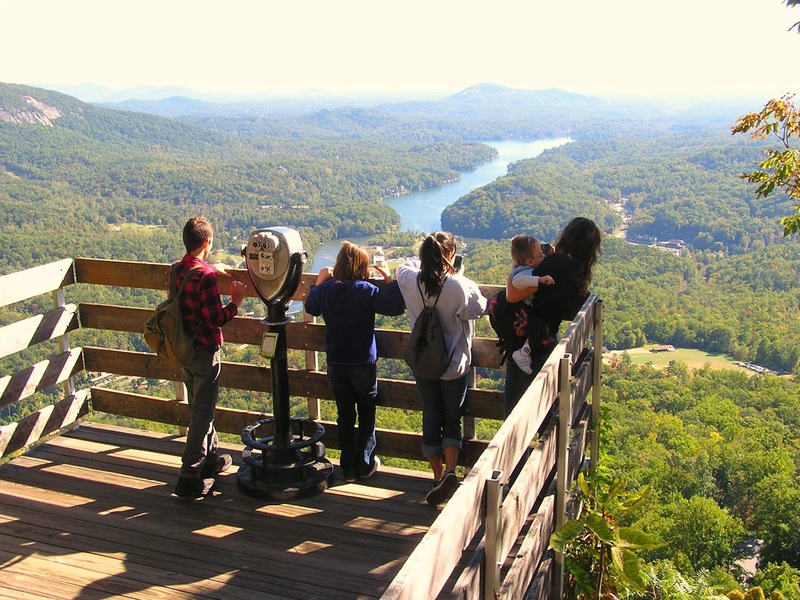 We decided on the Asheville area and spent 3 days trekking through hiking trails along the BRP and in state parks. We had such a good time. We should have stayed longer. The fall colors were already gorgeous and at their peak. And Liam was such a trooper. It takes us about 6 hours to drive over to the mountains and then we spent most of our time driving to one hiking place or another where either Shawn or I would carry him in his sling so he could enjoy the trails with us. He never fussed. We spent one entire day hiking all the trails at Chimney Rock State Park. 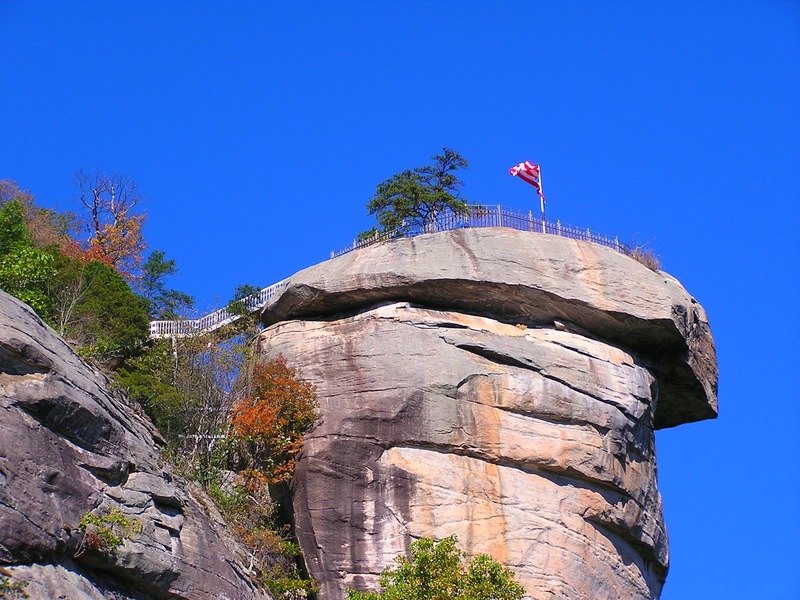 I've always wanted to go there since seeing it in The Last of the Mohicans. It is simply beautiful up there. 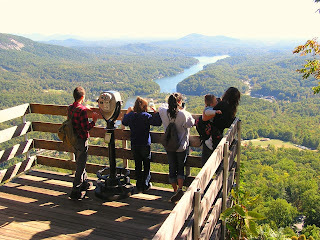 *Overlooking Lake Lure where Dirty Dancing was filmed from Chimney Rock Park. On our way home we went by Mount Mitchell, the highest point east of the Mississippi. It was the only place that we were able to take Liam in his stroller. Every other place was trails that required he be carried. After spending so many days either in a car seat, carrier, or stroller, I had expected Liam to be irritated. 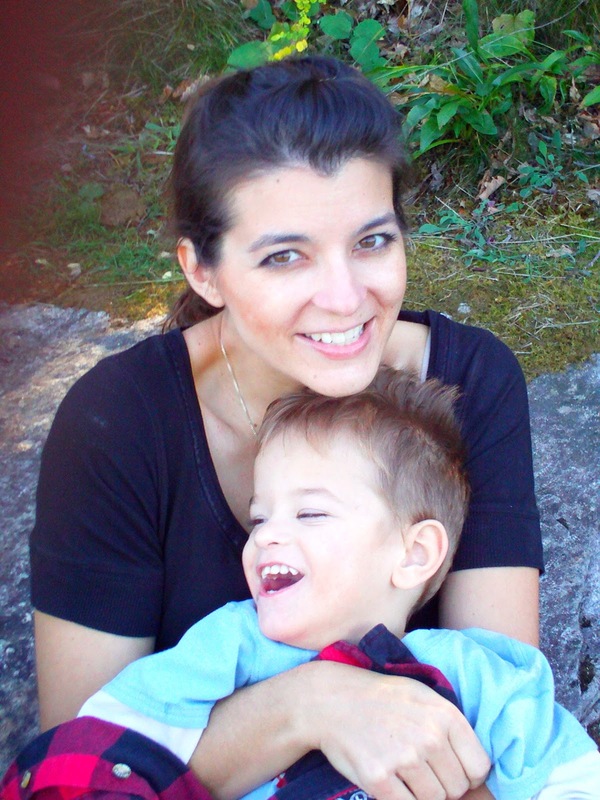 He was quieter than usual, but he was still an easy going boy for the entire time. When we got home, I took him out of his car seat and told him he was getting out. I never said we were home. It was late and already dark. When I walked into the house, but the time I hit our dining room he was starting to get excited and when I rounded the corner into the living room (his play area), he started to laugh and when I laid him down on the floor, he had the biggest smile, where he laughed and danced for 15 minutes straight. Even though he was a trooper, he was very excited to be back home. Things like that still come as a surprise for me because Liam doesn't see well and with no communication I don't know how much he understands. But I know now that he definitely knows home.